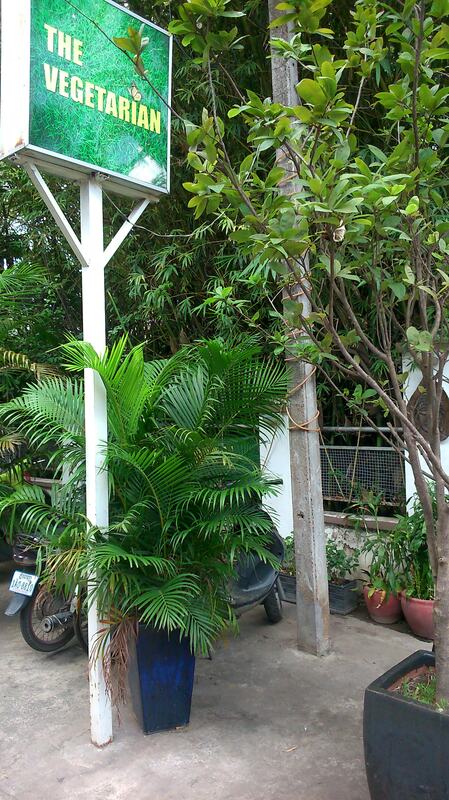 Finding myself back in Cambodia for a few days I checked the lonely planet for any good places to eat in the capital, Phnom Penh & saw The Vegetarian, No.158, Street 19 off Sihanouk Blvd, Phnom Penh. One thing you find about travelling is just how individual an experience it is, some people will tell you places aren’t worth visiting, another will say the same place is incredible. PP- well some people hate it, yes it can be dirty, yes you have to watch your bag at all times, but it always charms me so much. I’ve been here a few times for long ish spells (in traveller time!) so I feel like I know it pretty well. I love wandering the streets, taking in all the sights & complete lack of health & safety with sparks from welding shooting across the street to crazy tuk tuks darting about the roads. 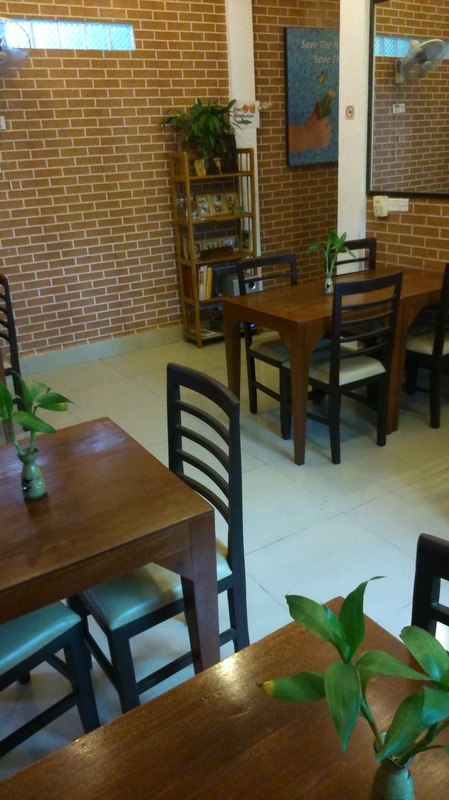 When the heat and busyness of the day kicks in, The Vegetarian offers a calm haven in the crazy city. 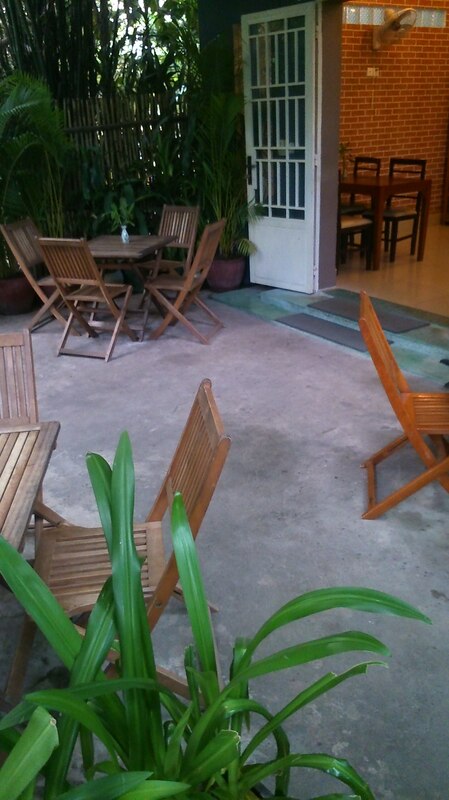 It has a cute outside garden space and clean, chilled out inside. 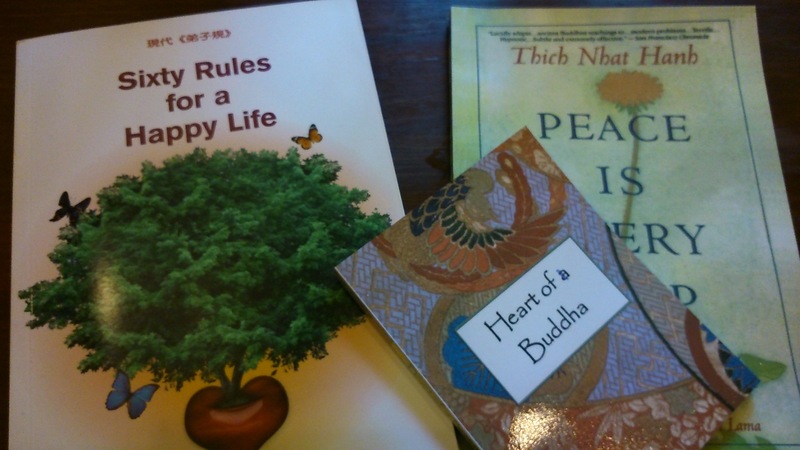 There’s also a free book section, so you can have a read of Buddhist wisdom and get your zen on as you pick from the varied menu. Most of it is vegetarian – there are some vegan dishes which you can have a chat with staff with and they will point them out. The menu ranges from BBQ Sauce pan fried cashews & veggies to Malaysian curries, salads and sushi! 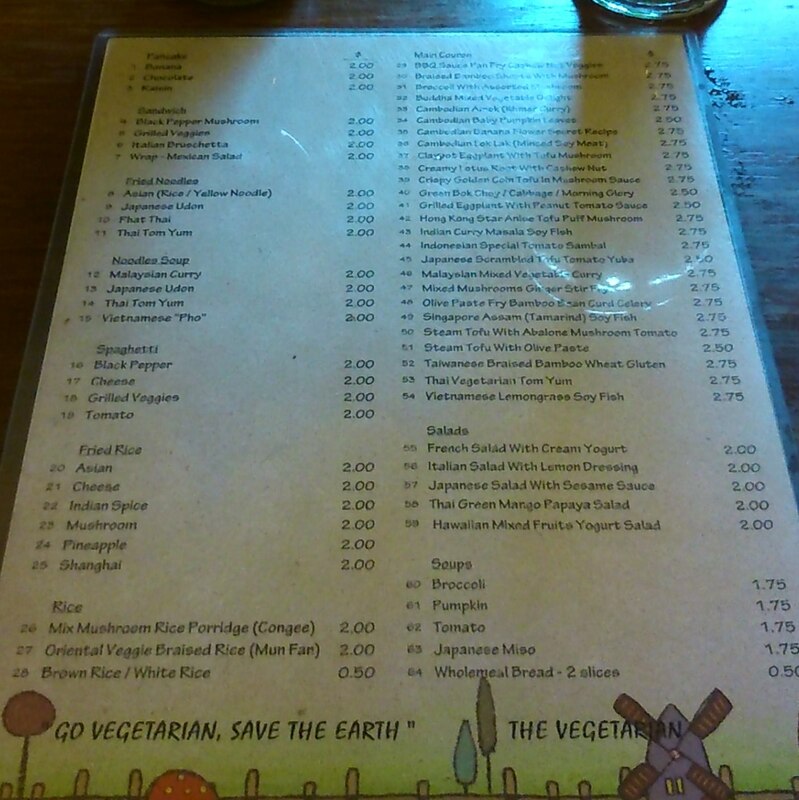 The Menu – enlarge to read! 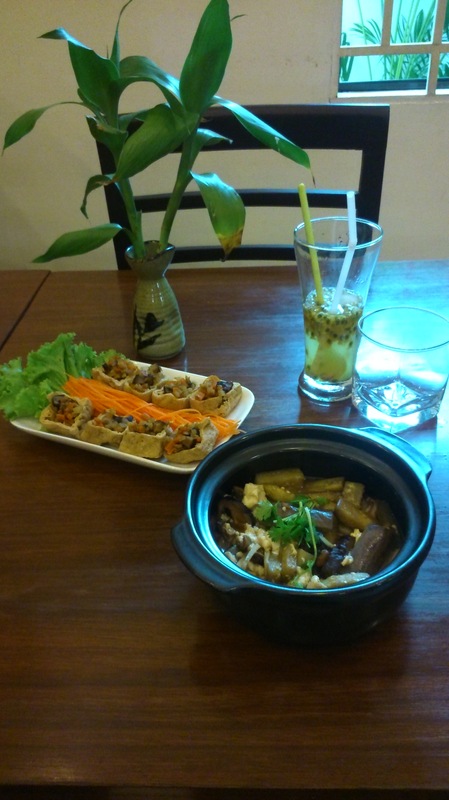 I went for the Claypot Eggplant with Tofu and Mushroom and Crispy Filled Tofu. I also had my favorite drink out here, fresh passion fruit juice. It all came to just over six dollars – not bad at all! The crispy tofu was awesome, never had tofu like this, sort of reminded me of a retro vol la vont! Stuffed with tasty veggies it was a nice change from standard veggie foods. The main dish, the Eggplant was delicious, chunky mushrooms that filled you up and had absorbed all the sauce flavour, creamy silken tofu and eggplant (or as we say, Aubergine!) cooked delicately. So delicious! Would definitely recommend a trip here if you are near the independence monument at all! Follow my instagram Katieeatsvegan or find me on facebook! Traveller selfie! Make up free, overly warm but happy eating!